Illustrated line drawings & photos of completed boats. 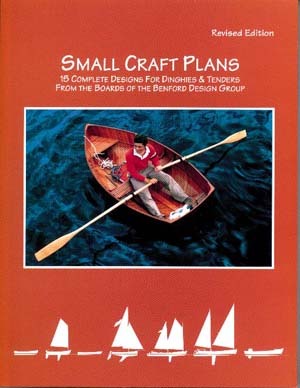 Small Craft Plans presents the boatbuilder and the dreamer with complete plans for each of the 15 small boats included in this collection. Taken from Benford's original drawings and reduced in scale, the plans are nevertheless complete and ready for lofting full size. The boats range in size from 7' to 18' and can be varied for rowing, sailing or small outboard engine. The book is illustrated with line drawings and photos of completed boats. Each chapter opens with a brief commentary about the design at hand and some particulars about boats built from it.